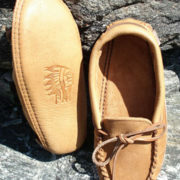 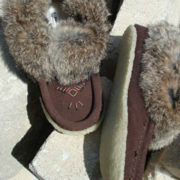 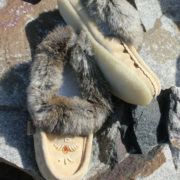 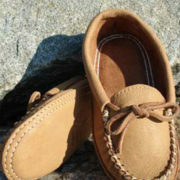 This moccasin has contemporary style, but is practical too! 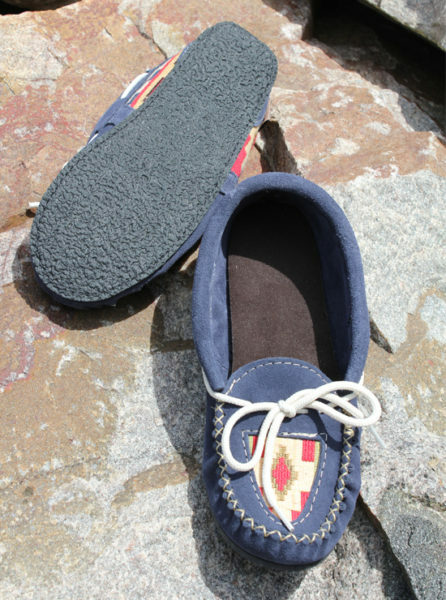 The navy blue suede is accented with an embroidered pattern on the vamp. The lace ties for the perfect fit and the rubber sole means you can wear them indoors and out.